A rather moreish finale to our new winter menu has gone down a treat over the festive season and although, it might beJanuary, everyone needs a little conditioning this winter. 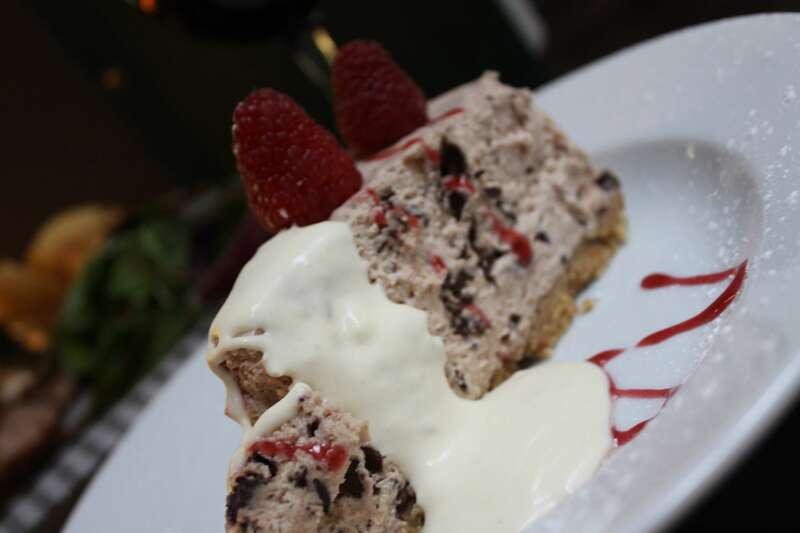 Served with fresh cream and raspberries, this dessert is one of our favourites! Our take on a classic flip cocktail, is the perfect Winter warmer for the cold days to come. The White Stag consists of Saison Rum, Mozart Chocolate Liqueur, Kahlua, fresh cream, sugar syrup and an egg white, topped off with grated chocolate. Rich and creamy flavours are complimented with dark chocolate and exotic spice! Our latest craft beer offering from DOT Brew has landed and it’s a botanical infused beer. The experimental brewery haschosen to base this beer on an Old Fashioned Cocktail so lots of orange, peach, vanilla and oak can be expected! One of the new additions to our wine list, the Rocca di Frassinello Le Sughere 2012 vintage is a medium-bodied blend of Sangioveto, Cabernet and Merlot, which has notes of dark fruits, liquorice and spice. This exquisite wine pairs beautifully with our charcuterie board comprised of Irish wild venison, Napoli salami, Serrano ham, Irish organic smoked Picanha beef and spicey, Nduja salami. A match made in heaven, say no more. 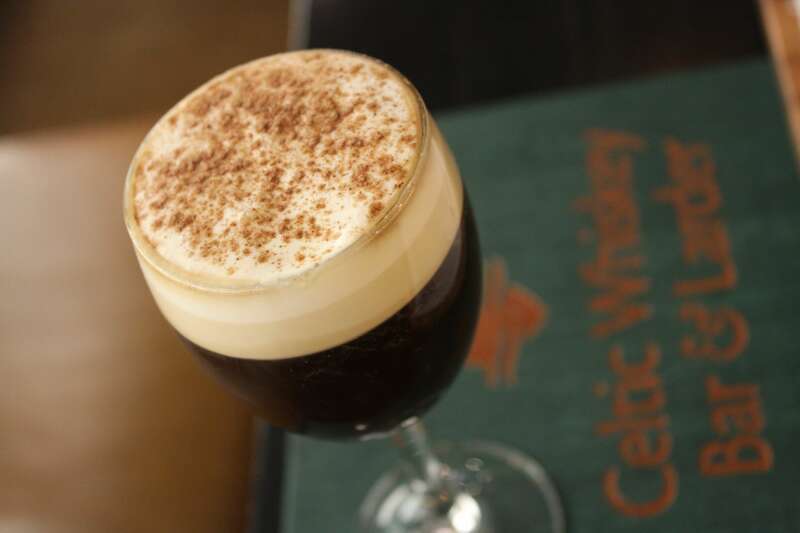 Our bar manager’s latest creation at Celtic Whiskey Bar & Larder, the Decadent Irish​ Coffee contains a shot of Power’s John’s Lane, Nespresso coffee and a hint of vanilla extract in whisked cream. Pot Still whiskey is made from both malted and un-malted barley and is the only style of whiskey, which is native to Ireland. This style has a unique oily characteristic, which creates a fuller mouth-feel in our Irish coffee. Velvet in a glass.